Highly regarded by many as the flight planning tool that FSX and P3D really needed! This tool should be a must-have piece of software for any virtual pilot to properly plan and execute your next virtual flight. 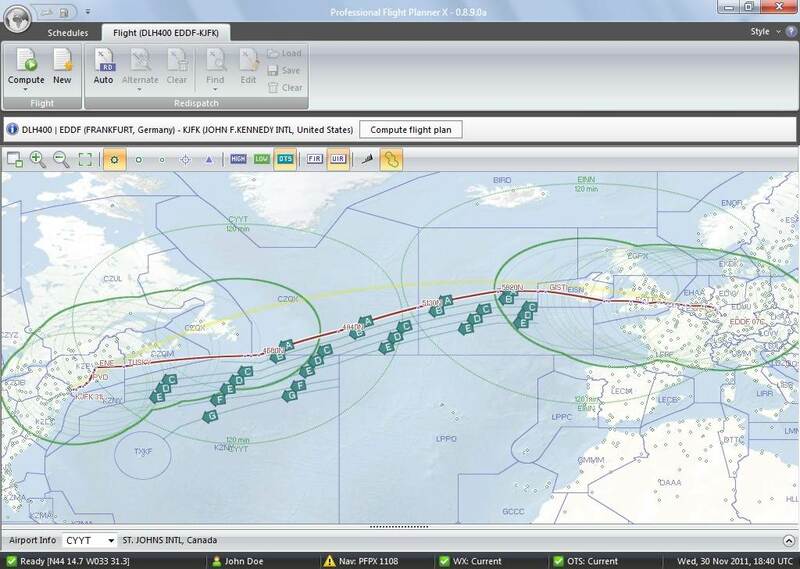 Buy and download Professional Flight Planner X right now from PC Aviator. 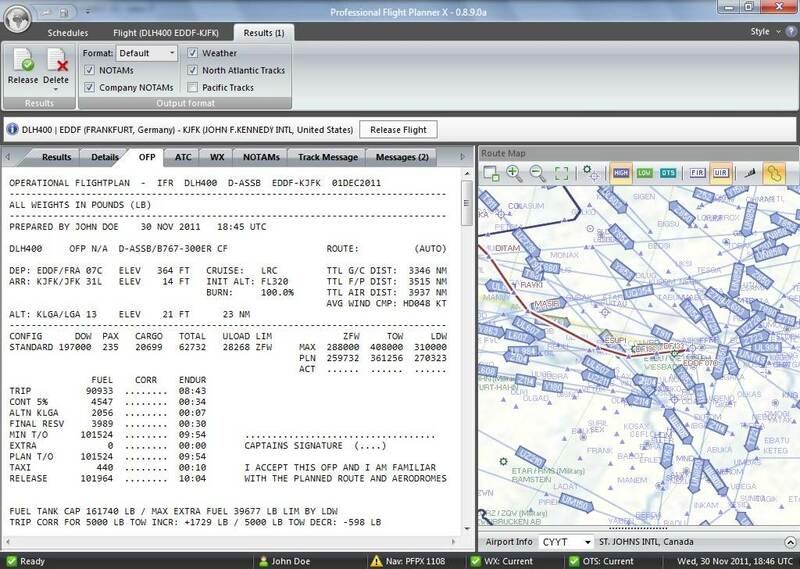 PFPX - Professional Flight Planner X - is a new and innovative flight planning tool developed by real-world pilots and dispatchers. It’s a valuable and realistic addition to your flight simulation experience enabling you to create professional quality flight plans similar to those used by real-world airlines. A user-friendly interface helps to easily build flight plans in a few steps. 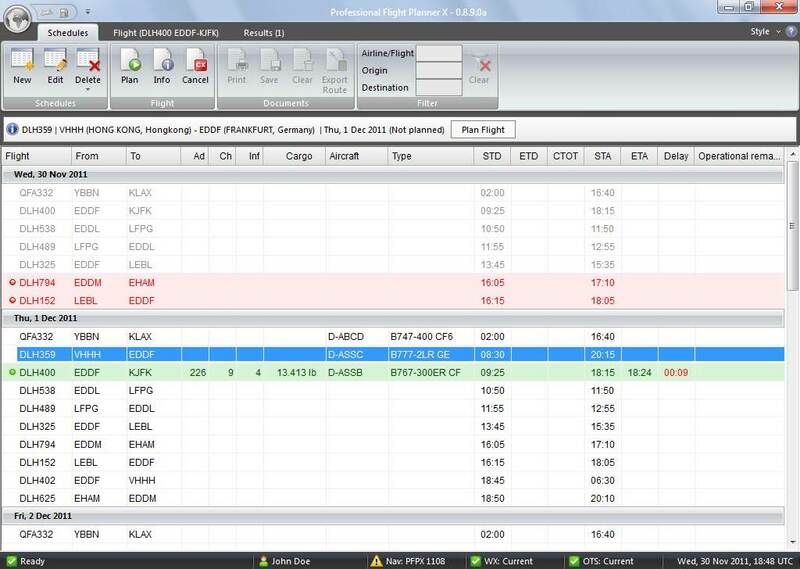 Advanced options permit realistic flight planning with sophisticated features like Long Range (EROPS) and Re-Dispatch Planning. The printable Flight Briefing Package includes real-time weather and wind charts as well as NOTAM, METAR and TAF reports. Planned routes can be exported to various add-ons like Airbus X Extended, PMDG 737 NGX, 747, MD 11 and Captain Sim 757/767. PFPX comes with a large aircraft database ranging from Airbus and Boeing types to smaller airplanes like Citation and Cirrus. An open source file format allows simple creation of new aircraft types. Regular navigation database updates are available for realistic route planning. A sample Flight Briefing Package can be downloaded here. PFPX uses several types of data to provide real-time information directly into the program. These data are collected from various sources, processed and formatted by our servers and automatically distributed to your local PFPX device. These data are: Winds, METAR, TAF, Tracks and NOTAMs. Providing this up-to-date real-time data produces quite a large amount of server data traffic. Beginning with the initial activation, a (free) server subscription for 365 days is automatically configured. After this period, the subscription can be extended by purchasing additional server subscription time. What if my subscription expires? If you elect NOT to extend the server subscription, PFPX will still be fully functional, but without real-time data such as Winds, METAR, TAF, Tracks and NOTAMs. Other sources, like ActiveSky and RealEnvironment Extreme and your saved weather data and tracks will still be functional! You can elect to extend your subscription at any time, even if it already has expired! To fully take advantage of all the features we recommend an active internet connection.